Yesterday we officially ended our 40 night boondocking streak. It was a bittersweet moment. We have thoroughly enjoyed our time out in the “boonies” so to speak. The freedom, the beauty, the wide open spaces and magnificent views are all hard to leave behind. And of course, there’s the cost- nothing! You really can’t beat that. The downside to boondocking is that it requires quite a bit of forethought, planning and constant vigilance when it comes to managing your resources. Tanks and electric use must be closely monitored, water needs to be conserved and acquired, and a spot to dump trash must be sought out. Also depending on where you are the nearest food store, or place to buy propane and fuel might be far away. Or in the case of a food store, simply lacking for your needs. Like I said, planning and forethought are what make boondocking a truly successful and enjoyable experience. So while we LOVE boondocking and plan to do much more of it in the near future, for now it feels good to relax at an actual campground with an electric hook up, a water spigot nearby, and a dumpster within walking distance. 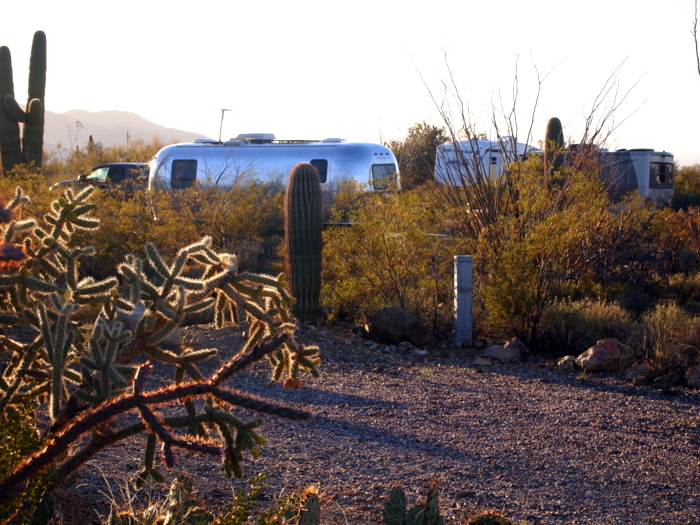 We chose Gilbert Ray Campground on the west side of Tucson for our re-entry into civilization. 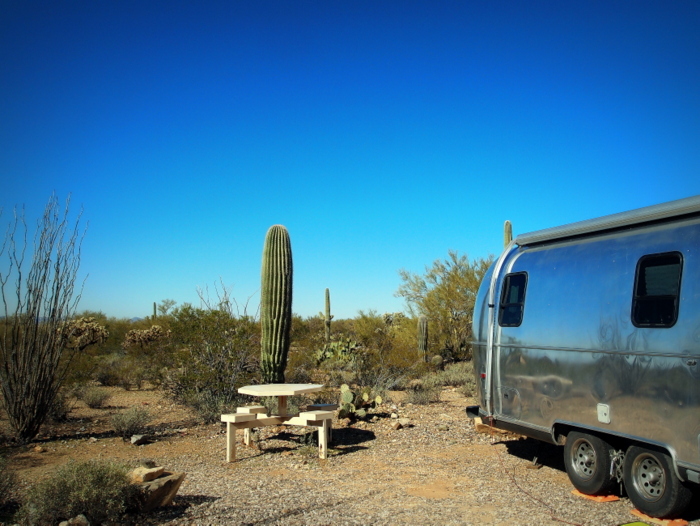 Gilbert Ray is a county run campground within the boundary of the Tucson Mountain Park, a roughly 20,000 acre parcel of land that is adjacent to both Tucson and the western portion of Saguaro National Park. Within the Tucson Mountain Park there are miles and miles of trails for hiking, the Old Tuscon Studios for a bit of history, and the Sonoran Desert Museum for some knowledge about the local environment. 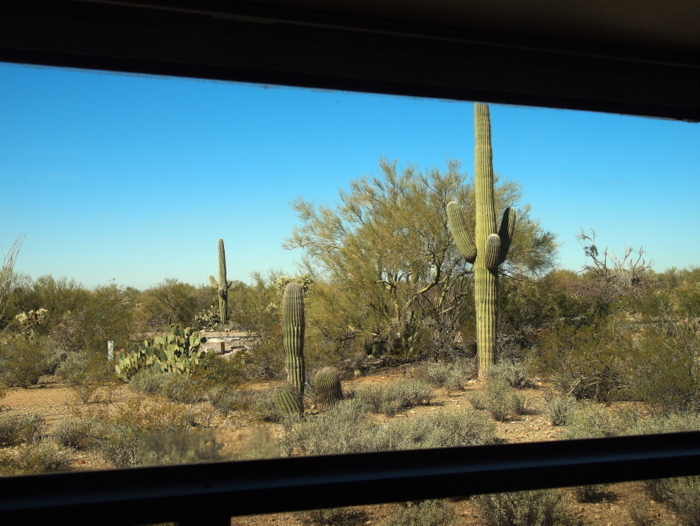 The campground itself is very picturesque with large sites surrounded by wild looking desert foliage. 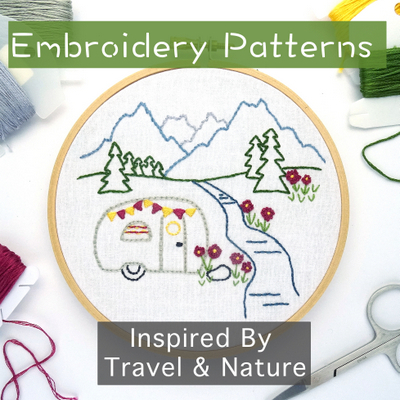 It turns out that Gilbert Ray is a good transition from almost 6 weeks of boondocking because it still has a very natural feel to it while allowing us some of the amenities that we have been missing. Not too many though. We do have an electric hook up (all of our electronic devices are once again fully charged! ), but this is not a full hook ups campground. That means that while there is a water spigot nearby in case our fresh water tank runs out, there is no sewer hook up so we still have to watch our water usage. If we want to dump tanks we have to hook back up and drive over to the dump station. Since we’re only staying four nights this won’t be a problem. Even before our extended time of boondocking we rarely stayed at campgrounds with full hook ups so this way of camping is very familiar to us. It may sound strange but the other amenity we are loving is access to recycling. We have been carrying around many glass bottles in the back of the truck for awhile now and it was a relief to finally dispose of them. It’s the little things in life. 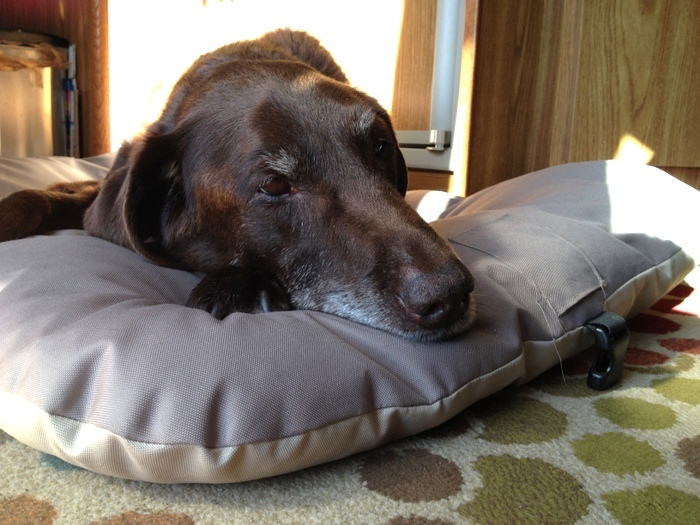 Phin doesn’t care where we are as long as there’s a place for his snazzy new bed! Before we go out to explore the cool stuff in the area like the museum, the national park, and a few hikes we have planned, we need to take care of boring life stuff. Like laundry and grocery shopping. 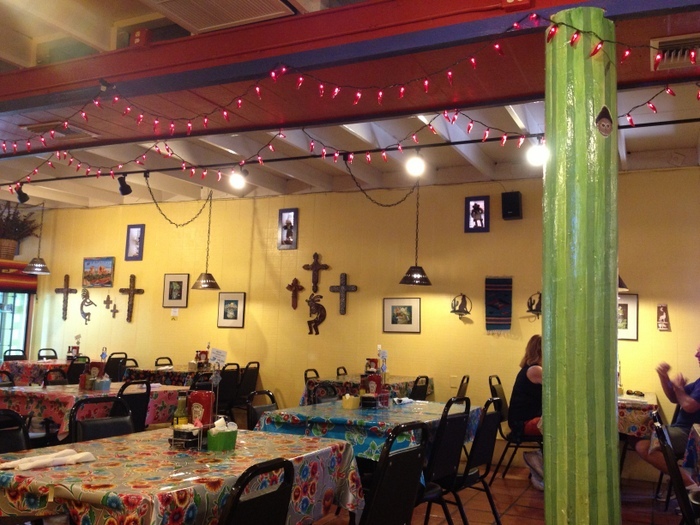 Before heading into Tucson for our errands today we decided to treat ourselves to a lunch at a small local cafe right down the road from the campground. The meal was very good. Simple and tasty with a southwest flair. I had a grilled chicken sandwich with roasted poblano peppers on top, and Tim had a burger with prickly pear BBQ sauce. A huge improvement over our last two attempts to eat out in Ajo and Borrego Springs. Thanks Tucson! Now we’re at the laundromat washing an epic pile of laundry, taking advantage of the super fast free wifi, and watching a steady line of cars whiz past on the busy street in front of us. Oh yes, we’re back in civilization now. Thanks for posting about this campground. We’re heading in that direction later in Feb. I know what you mean about eating out. We had some interesting experiences in Quartzsite. Safe travels! I think you’ll like it here. This is a very nice park surrounded by gorgeous scenery. 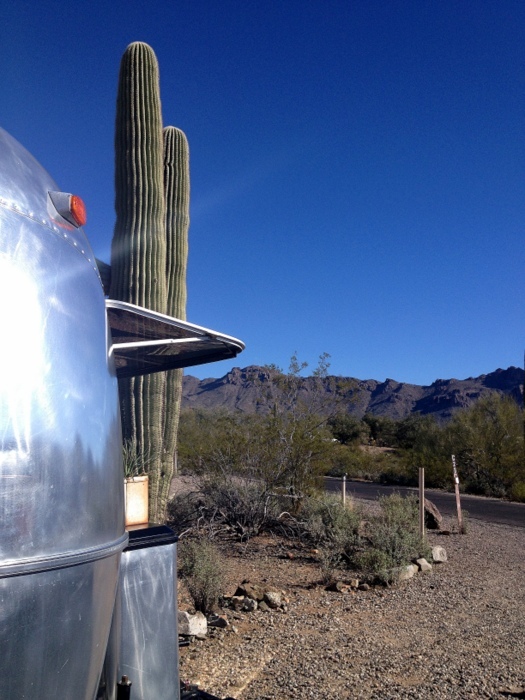 Later this week we’re moving to the east side of Tucson to check out Catalina State Park. Also supposed to be a nice park, but closer to the actual city. How’s the cell service at Gilbert Ray? I meant to put that in the post because I knew you would ask :) It’s very good- both Verizon and AT&T work well. Much better than in Ajo. I have been wondering how you deal black and gray water when boondocking for extended periods??? Hi Cindy- good question. If we are very careful with our water usage than we can go 9-10 days before we have to dump the grey tank. The black tank can last almost 2 weeks (both tanks are 39 gallons). We’ve gotten pretty good about washing dishes using minimal water and sometimes I dump the dishwater down the toilet because the grey tank fills faster than the black. We also have a Sunshower for outdoor use if we’re really trying to conserve tank space. When we do need to dump (like when we stayed in Borreggo Springs for 3 weeks) we pack up, hook up and find the closest place to dump. Lots of gas stations offer dump stations (some are even free) and most campgrounds will let you use their dump station for a fee. For the most part we tend to only stay in one place for a week, or week and half, so basically when the tanks are full- it’s time to go! Hope this answers your question. This looks like an awesome spot to stay after we get kicked out of Catalina next week, but is it true you can’t take dogs on the trails? Say it ain’t so! It is an awesome spot, but it’s true that dogs are not allowed on trails in the Tucson Mountain Park region. Not sure what the reason is for this silly rule. We’ve gotten around it a few times by going for hikes in the washes instead of on the trails, but most of the time pooch has to make do with walks around the campground. We really love it here though. In fact we came back and are here through Sunday- our first return trip to a campground ever! In other parks the no dogs on trails was something about the wildlife not liking the scent and dogs harassing wildlife if I am remembering correctly. We are at Gilbert Ray heading to Catalina.